Los Angeles County dentist Dr. Fattahi is committed to providing you with affordable high-quality family dentistry care. We offer the most professional and personal service available whether you are having a routine cleaning and check-up or going for your first dental appointment ever. From cleanings to fillings, the family dentistry staff at Del Dental Group provides every member in your family with personalized and professional, regardless of their age. A healthy smile is a wonderful asset for everyone and at Del Dental Group we're dedicated to keeping your family's teeth healthy. A visit to our Los Angeles County office is always a comfortable, relaxing and rewarding experience. Our highly-trained staff is skilled in providing comprehensive cosmetic, preventive and restorative care with an emphasis on offering patients a personal touch. You can make an appointment by calling us at (310) 822-8118 or by completing our easy online form. At Del Dental Group we're committed to providing you and your family with quality, affordable dental care! If you're looking for a trusted family dentist in the Playa Del Rey area you don't need to look any further. Julia Fattahi, D.D.S., offers quality family dentistry that Playa Del Rey residents depend on for experienced and professional dental care. When it comes to basic dental care, Dr. Fattahi will tell you that nothing tops brushing. If you choose to use a manual toothbrush, be sure that it is small enough to reach your entire mouth easily. 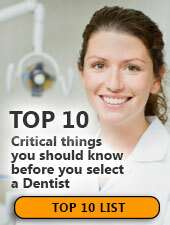 Also, bristles that are too firm can cause your gums to bleed. Those who prefer something a bit more convenient and comfortable might consider an electric toothbrush. Be sure the head is soft and the bristles move in a back-and-forth motion. If you have questions about your toothbrush, call us at (855) 539-4518 and we’ll be pleased to offer recommendations. If you're suffering from tooth decay or gum problems, regular appointments with Julia Fattahi, D.D.S. will allow her to create a personalized treatment plan that will give you the best smile possible. Regular cleanings remove most tobacco, coffee and tea stains, polishing your teeth to a beautiful shine! If it's been more than six months since your last check up and cleaning, call Del Dental Group at (855) 539-4518 to schedule an appointment today! We promise to take good care of you and your smile! 'First visit by first birthday' sums it up. Your child should visit a dentist when the first tooth comes in, usually between six and twelve months of age. Early examination and preventive care will protect your child's smile now and in the future. If you have questions regarding your baby's teeth, please call Del Dental Group at (855) 539-4518 and we’ll be glad to provide the answers.